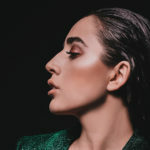 Armenia this year opted for an internal selection in order to select its Eurovision 2019 representative. After last year’s poor results, the national broadcaster ARΜTV left aside the Depi Evratesil national final format and held castings of acts to choose its new Eurovision representative, being the first one to reveal its act. 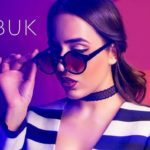 Eventually Srbuk was the one selected internally and will represent Armenia with her song“Walking out”. Srbuk (Srbuhi Sargsyan is her full name) was born in 1994 in the Armenian capitly city of Herevanν. In the age of 16 only, she participated in the first season of the armenian X-Factor talent show in which she finished 2nd. 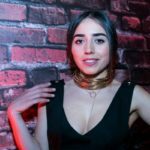 Following that success forms her own group named Allusion, while in 2018 she takes part in the Ukrainian version of the talent show The Voice where she ends in the 4th place. Her music has strong influences from legendary artists as Aretha Franklin, Etta James and Ella Fitzgerald, and from soul και R&B acts such as Stevie Wonder, Ray Charles and Michael Jackson. All these influences and experieces were transmuted in her first single entitled “Yete Karogh Es” which topped Armenia;s charts for weeks. The song that Srbuk will be performing in Tel Aviv is called “Walking out”. Composers of the song are two Armenian musicians, namely “Lost Capital” and “tokionine”. The lyrics of the song were written by Garik Papoyan, who was the writer of the song “Not Alone” the entry sung by the Armenian ESC 2014 representative, Aram MP3 who finished 4th in the grand final. Armenia participated first time in the Eurovision Song Contest in 2004. The best results for the country came in 2008 with Sirusho and in 2014 with Aram Mp3 achieving both a 4th in the Grand Final. Since its debut hasn’t missed a contest except in 2012 when the country withdrew from the contest. In its 12 years of participation Armenia has managed 7 top 10 placings establishing her as one of the most successful countries in the contest. In 2018 the Depi Evratesil 2018 winner Sevak Khanagyan represented Armenia in Lisbon with his entry Qami. Depsite his impressive vocal performance he didn’t make it to the final.